​ found in the assessment process require solutions. ​Challenge 1: Aging Canopy. The very thing that makes Charlotte exceptional is also a real concern. How can the city's excellent canopy be sustained in future years? Many of Charlotte's trees in older neighborhoods (some of the city's most iconic trees) were all planted during the same time period (1895-1920). Today, many of those trees are reaching the end of their lifespan all at once, which creates a substantial and expensive management. Whether pruning trees to extend their life, removing them before they become a safety hazard, or planning a replacement planting plan, proactive management is necessary. These are difficult management decisions to make. Neighborhoods with a large majority of older trees will see significant changes in tree canopy over the coming decades. Additionally, the loss of these larger trees will have significant effects on the benefits provided to the community, as mature trees provide exponentially higher quantities of benefits compared to young trees. 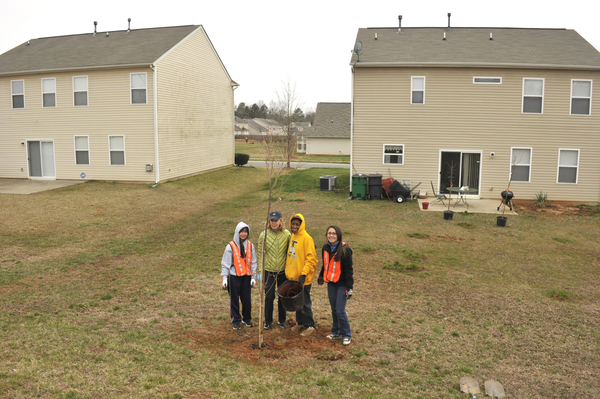 Learn more about services provided by Charlotte's trees. Institute a proactive tree care program (management plan) to preserve and extend the life of mature trees. Improve communication in the community to explain and provide details on local tree care decisions. Be proactive in planting projects in anticipation of future removals. Provide property owners with access to expertise to make the right decision for large trees on private land. Challenge 2: Canopy Loss to Development. Charlotte was recently named by Forbes Magazine as one of the fastest growing cities in the country. This accelerated growth rate equates to mass clear cutting of land, as homes, office buildings, and even streets are being built to accommodate this growth. Charlotte’s older neighborhoods indicate that canopy loss may not seem to be as pressing of an issue, but much of the Charlotte region shows real loss. 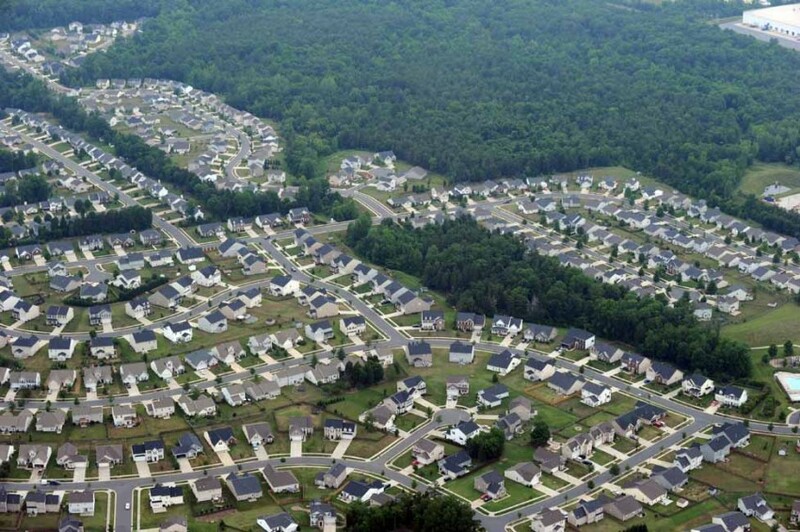 In 2013, Dave Cable of TreesCharlotte noted, “As we go into these neighborhoods – and these are a lot of disenfranchised areas – there’s not a tree in sight. There are an awful lot of neighborhoods, particularly those developed in the ’80s and ’90s” that are barren of trees" (Ververka 2013). Development is happening in the urban core as well. While large subdivisions are going up in the outer areas of the city, parcels within the urban core are also being further developed through subdivision of individual lots to rebuild with more units. Both types of development are resulting in the loss of large, mature trees. A tree protection policy is in place and trees are being replanted; however, replanting isn't happening at nearly high enough a rate to stop or counteract these losses. ​In 2011, Charlotte City Council adopted the “50% by 2050” canopy goal policy to increase tree cover across the city. Further explore the impact and effectiveness of tree protection efforts related to development. Institute a citywide identity campaign. Update the tree canopy assessment data and perform detailed analyses on areas and causes of changes in canopy in specific areas. With this data, potential changes can be addressed in tree protection policies and development codes. ​​Challenge 3: Lack of Neighborhood Organization for Citizen Engagement. One of the most frequent themes from the general public during this planning process centered on the idea that they want to get involved and work on their own neighborhood's tree canopy, but couldn't find a way to do that. 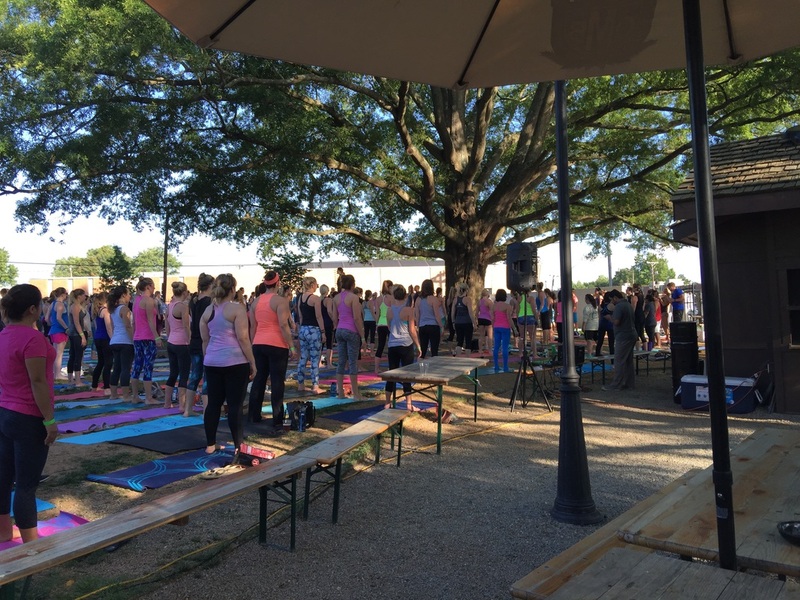 While TreesCharlotte does a significant amount of planting each year, these efforts are often one-time project-based events and are not centered on and run by neighborhood groups. In any urban planning and improvement efforts, citizen action at the neighborhood level has shown time and time again to be the most effective and empowering way to get the public involved and engaged. This is a gap that needs to be addressed for real progress to be realized. The solution? 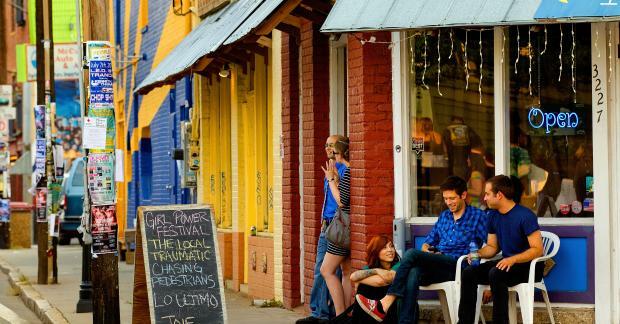 ​Formalize and engage neighborhoods to make changes and urban forestry improvements in their own communities. Challenge 4: Low Income Areas with Mature Trees. Unlike many cities across the country, Charlotte is unique in that tree canopy levels do not correlate with average household income levels. [To see more on this, click here.] This means that many lower income areas host a large number of mature trees that offer significant benefits, but also require expensive care to maintain. Long-term preservation of trees and the benefits they provide calls for proactive maintenance. Proactive maintenance on mature trees can be expensive. Provide free access to expertise on options to care for large trees on private land. Explore corporate engagement to build a tree care assistance program for low-income residents aimed at preserving tree canopy. ​Challenge 5: Reactive Tree Care. 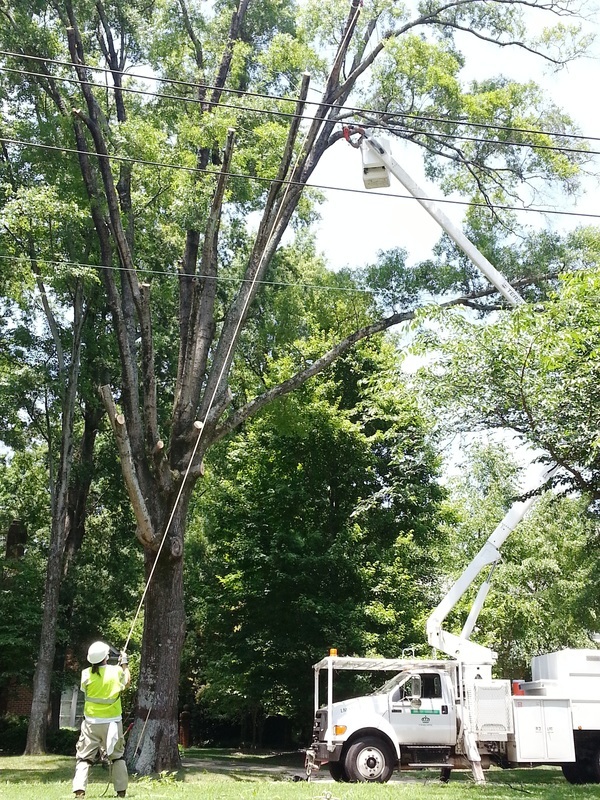 City budgets are stretched thin, maintenance is backlogged, and the city touches only a fraction of the 180,000 public trees in Charlotte each year. This means that the city's urban forestry professionals spend the majority of their time and resources doing reactive work (responding to service calls, etc.). Programs that are primarily reactive leave little funding available for proactive care and result in short-lived trees (and thus tree canopy). Reactive urban forestry programs can have a spiraling effect by creating additional needs and greater susceptibility to failure and storm damage due to lack of proactive care. The solution? Formally define and adopt a city management plan, using data from a 100% complete tree inventory. Challenge 6: Lack of Education/Awareness on Value of Trees. While the general public recognizes that Charlotte's trees are a unique city asset, funding for tree care is inadequate. This can be attributed to a lack of education on the benefits trees provide as well as the tangible issues trees can pose. For example, aging canopy and a lack of proactive tree care often result in severe storm damage. Also, mature tree care can be a major expense for homeowners. Provide tree benefits data at the neighborhood level to convey canopy value and engage citizens. Along with providing free access to expertise on tree care, provide incentives for completion of a broader environmental stewardship and land management course. Charlotte is unique because of its canopy. Education and awareness can stem from city pride through a city identity campaign.